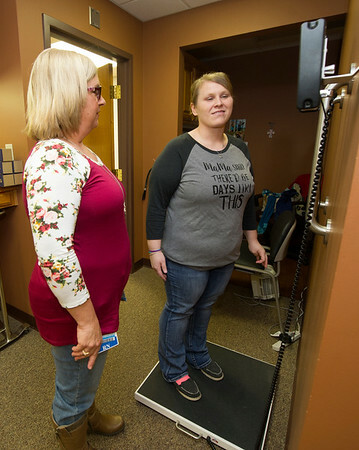 Freeman RN Janice Drake, program coordinator for the Freeman Bariatric Center, weighs in post-surgery patient and co-worker, Rebecca Wilkinson on Wednesday at the center. Wilkinson, a CMA at the center, has lost 85 lbs. since her surgery.